I’m a little obsessed with my planners and notebooks. And by little obsessed, I really mean if I’m working, you can pretty much guarantee that my planner and notebooks are right there beside me. I’m pretty predictable like that. Seriously though, I have to start every day with a plan; otherwise, my brain will be off trying to accomplish alllllll the things, while my heart tries to remain heart attack free. And so, I’ve come up with a bit of a system for how I plan out my day. 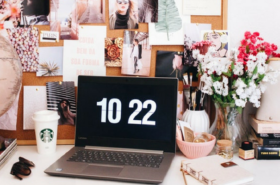 It’s nothing intensely elaborate, but as somebody who works from home, has plenty of deadlines to meet, and tries her best to run a blog on the side, I figured if this is working for me, it might work for you too! Full disclaimer, though: I am not even close to being the Queen of Organization. Nope, nope, nope. My inbox would give pretty much give anyone a panic attack, my purse is generally a nice disaster, and I have a solid reputation for never being on time. Good job, Andrea. Point being, while I may be a pro at planning out my work day, I fully admit that I’m most definitely not a pro organizer. Okay, now that I’ve got my booty covered there, let’s chat about creating a plan for your day. 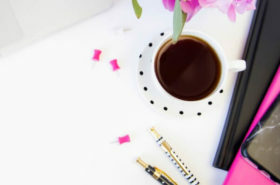 This post does contain affiliate links, meaning if you decide to make a purchase with one of my links, I’ll make a small commission (at no cost to you, of course). As always, thank you for supporting this little blog of mine. You rock! To begin, I think the first step to planning your work day is to have a notebook. And ideally, a notebook you really love. I could be alone on this, but for me, there’s just something about having a cute notebook that automatically makes me more inclined to actually want to use it. 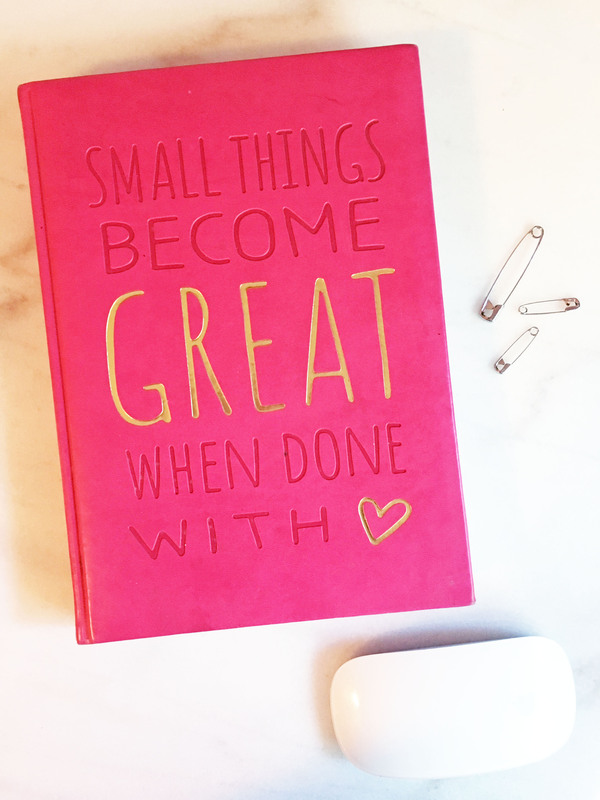 Bonus if the notebook comes with a cute motivational saying, like my fav one below. I bought this notebook just when I was launching my original business, Willow & Park, an online fashion boutique. I love that this particular notebook is full of so many ideas and plans I had for the shop. I love that I’ll always have this notebook to look back on, so I can see the evolution of my girl boss journey. Unfortunately, though, this particular notebook is now completely full, so to save me some $$$, I simply switched over to a standard notebook I had from school (booooooring). This one is actually on the verge of being full too, which means I’m currently on the hunt for my next notebook. You can shop any of these notebooks by simply clicking on the above image. 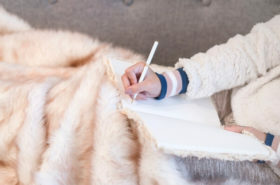 Okay, so now that you have your notebook, what do you actually do with it? Like I said, it’s nothing elaborate, and I probably should try and do something like a bullet journal, but tbh, my thoughts and ideas are always so all over the place that a bullet journal would be too restricting for me. I much prefer to be able to flip to any page I want and just start writing. Maybe not the most organized way of keeping tracks of my ideas, but it works for me. 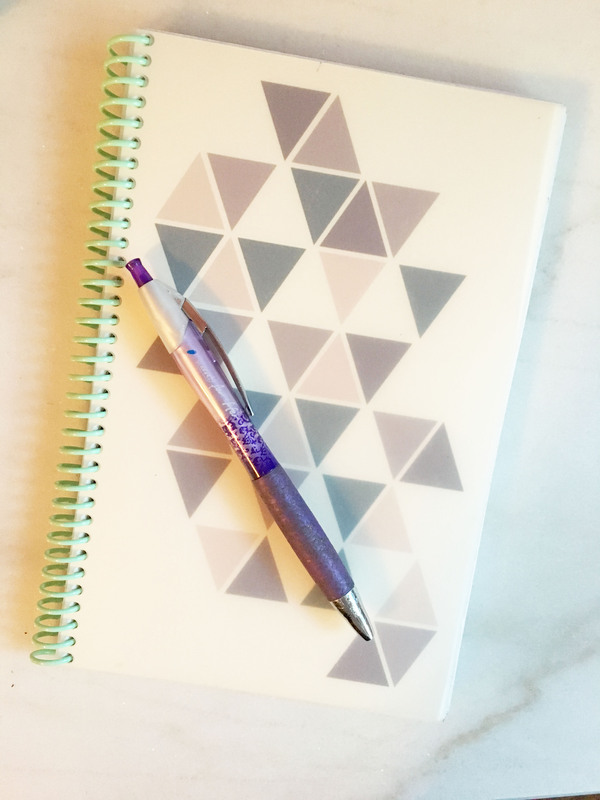 (I’m considering getting multiple notebooks so that I can at least separate things out into blogging work, freelance work, and just random thought/ideas). I start each week off by writing down all the different tasks and assignments that I need to accomplish. This can include anything from projects for clients, blog posts I want to get written, social media goals I want to hit, and emails I have to send. By doing this, I get a good overview of all the different things I plan on getting through for the week, which keeps me calm and clear on my goals. Essentially what I’ve created here is a “master list” of tasks. I always refer back to this master list in order to plan out the rest of the week. To do this, I’ll pick 3-5 tasks from the master lister list that I want to accomplish for that specific day (how many tasks I choose really just depends on how time consuming the task is). I then write out these tasks under a sub headings that is usually just today’s date, and voila, I know what tasks I’m going to complete for the day. You might be wondering, though, what about deadlines? How can I simply pick and choose tasks from this master list, and then decide which day I want to do them? Good point. You’re right. I can’t simply pick and choose. With my clients, I always have specific deadlines to hit, which means it’s extremely important that I keep track of when specific articles are due. This is where my planner comes in handy. My planner is where I keep track of specific deadlines, so that I can look ahead to see what’s coming in the next week, or even in the next month. This keep me organized and ensures I never miss a deadline. Also, when picking out my tasks from the master list, I always have my planner nearby. This way I can consult my planner on deadlines and look ahead to see how busy I’ll be in upcoming days. This really helps my manage my time and prioritize. I also consider my planner my “final draft” schedule. Well, once I’ve picked my 3-5 tasks from my master list, and I’ve written them out in my notebook, I then take it a step further by planning out those tasks by the hour, which goes in my planner. This might sound a little obsessive, but it honestly does help a lot. My specific planner actually has a line for each hour of the day (between 8am-6pm), which keeps everything extra organized. On those hour by hour lines, I’ll schedule everything in for the day, from client work to emails, and even when I plan to exercise. My self created schedule might not always go according to plan, but it helps keep me focused. And that’s basically the gist of how I start each work week and each work day. It’s fairly standard, but it’s something I’ve really only implemented in the last couple of months, and it’s truly made all the difference in my work productivity. It’s also always nice to start the morning off slowly, with a cup of coffee, and a plan #nerdy. So yes, if you’re trying to manage multiple projects, I highly recommend experimenting with a way of planning that works for you. 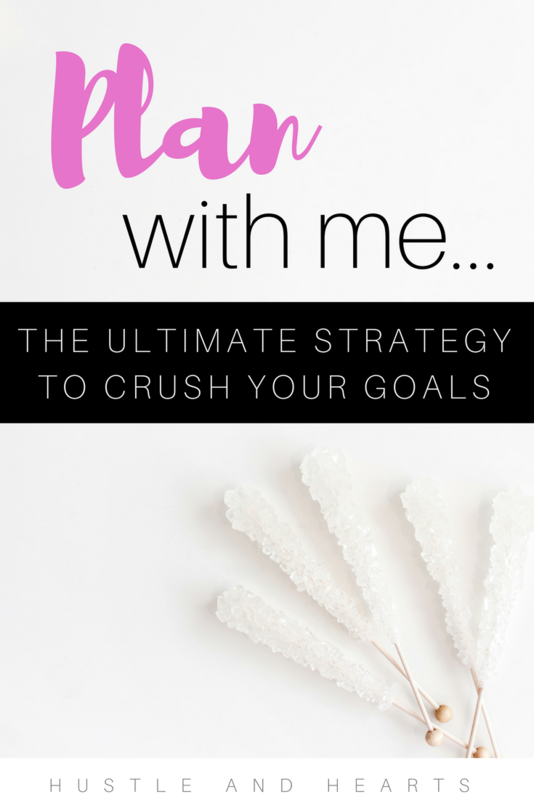 Everyone works differently, but if you’re someone like me, and you’re not super rigid with your schedule, but you still like having a plan, I highly recommend giving this planning strategy a try. I also want to recommend the planner I use on a daily basis from PocketSquares. 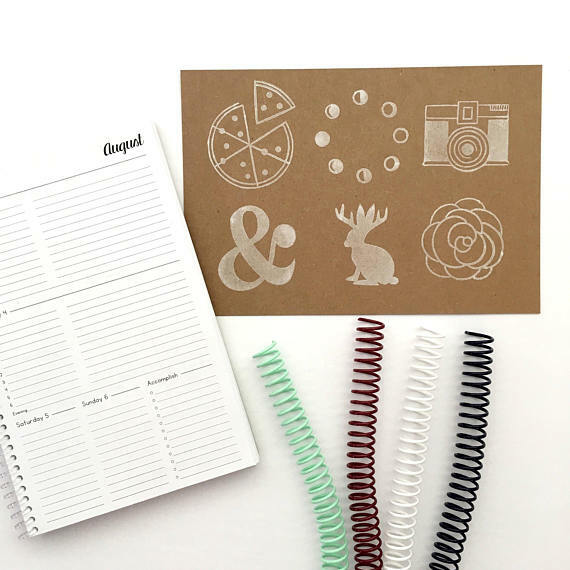 There’s a lot of planners out there that have all the bells and whistles, but I absolutely love that this one is nice and simple. If I’m given too much space to plan, I’ll get obsessive about it. This one keeps me from going full on Monica Gellar. Ou! And did I mention that they’re a made in Canada item? Right out of my hometown in Windsor, in fact! Windsor girls are pretty obsessed with them (a couple weeks ago I was at a small cafe working, and there were actually three of us that all planners from PocketSquares, but they all looked different because of the customization). So ladies, tell me: how do you plan your day? 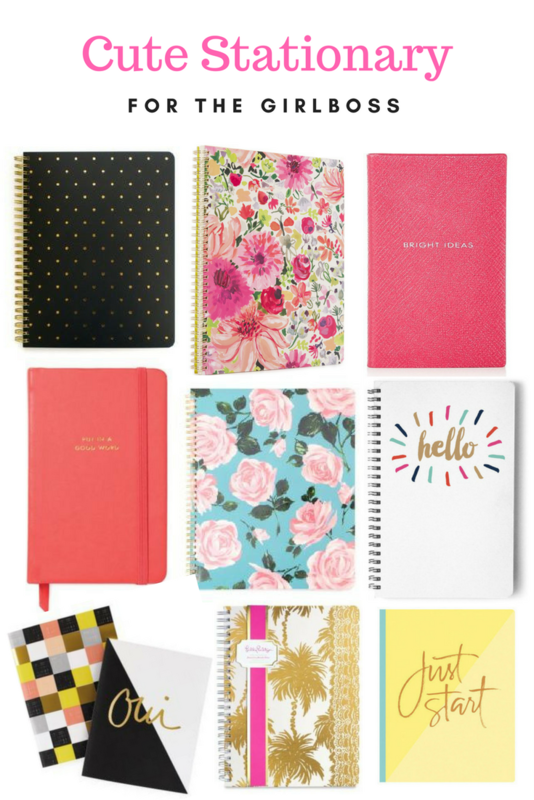 Are you a notebook and planner kind of girl? Or perhaps you just totally wing it? We all work differently, but I hope my system can give you some inspiration for creating your own system! OMG you know I love anything about planning! Is it just me or is it so interesting to see how others organize their time? 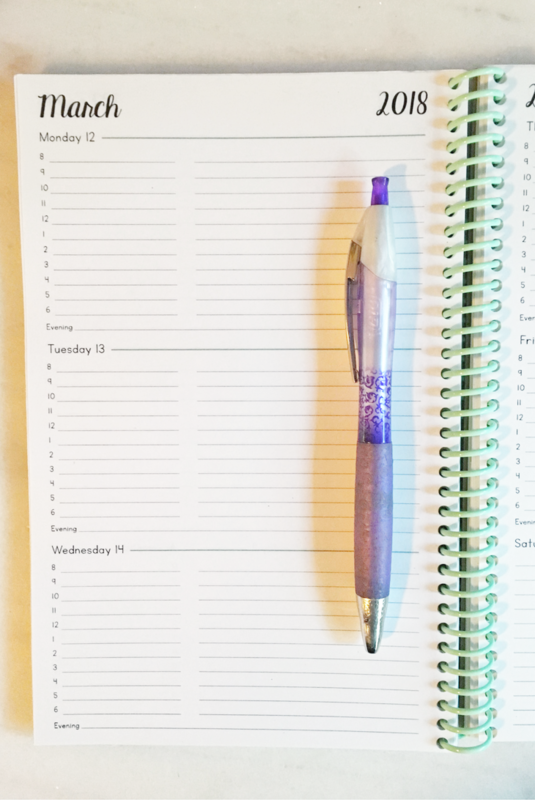 I also love planning out my week at the beginning of the week – makes it so much easier to see what exactly I have to do and alter it accordingly as new things pop up! I think we’re twins in this again 😉 Love your posts girl, keep ’em coming! I absolutely love this. Planning and scheduling are the big part of my everyday’s life. 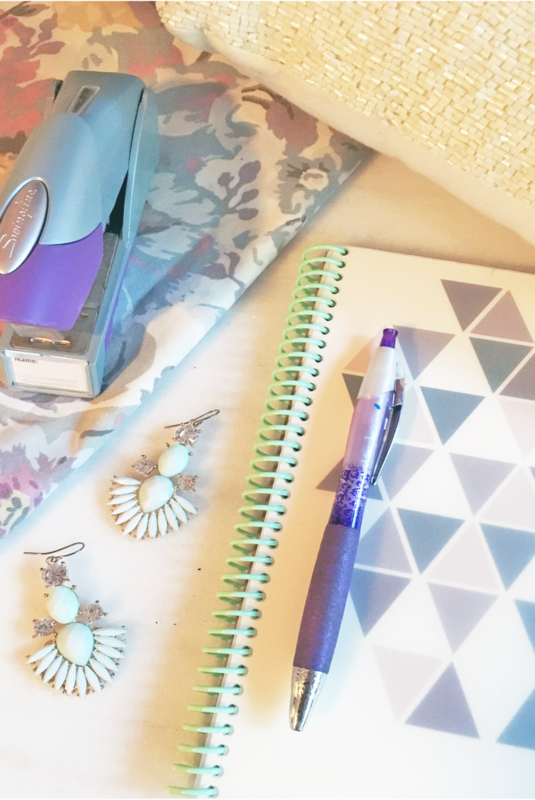 And that stationary is MUST HAVE for any girl boss. Thanks so much for sharing! Awesome post!! Thank you for sharing the notebooks. They’re so cute! That’s actually exactly why I like my bullet journal so much – because I don’t find it restrictive at all! I can turn to any page and write whatever down: to do list, journal entry, writing idea, etc. Then I make a note of what I wrote and the page number in the index so I can easily get back to it when I need to! I love that my bullet journal’s pages are numbered already so it makes it easy for me.